For other uses, see Crawley (disambiguation). Crawley ( pronunciation (help·info)) is a large town and borough in West Sussex, England. It is 28 miles (45 km) south of Charing Cross (London), 18 miles (29 km) north of Brighton and Hove, and 32 miles (51 km) north-east of the county town of Chichester. Crawley covers an area of 17.36 square miles (44.96 km2) and had a population of 106,597 at the time of the 2011 Census. "I Grow and I Rejoice"
The town contains 13 residential neighbourhoods radiating out from the core of the old market town, and separated by main roads and railway lines. The nearby communities of Ifield, Pound Hill and Three Bridges were absorbed into the new town at various stages in its development. In 2009, expansion was being planned in the west and north-west of the town, in cooperation with Horsham District Council, which has now become a new neighborhood named Kilnwood Vale, but it not in Crawley. Economically, the town has developed into the main centre of industry and employment between London and the south coast. Its large industrial area supports manufacturing and service companies, many of them connected with the airport. The commercial and retail sectors continue to expand. In 1999, plans were announced to develop a 14th neighbourhood on land at Tinsley Green to the northeast of the town, in 2011 this was given the go ahead and is officially the towns 14th neighbourhood and named Forge Wood, after the ancient woodland that is enclosed within the development . Initially those proposals were halted when a possible expansion at Gatwick Airport were announced. Development of another neighbourhood began in 2012 on the western side of Crawley in the Horsham district, this has been named Kilnwood Vale and would of potentially of gotten a new railway station, however those plans fell through. The Urban District Council received its coat of arms from the College of Heralds in 1957. After the change to borough status a modified coat of arms, based on the original, was awarded in 1976, and presented to the council on 24 March 1977. It features a central cross on a shield, representing the town's location at the meeting point of north–south and east–west roads. The shield bears nine martlets representing both the county of Sussex and the new town's original nine neighbourhoods. Supporters, of an eagle and a winged lion, relate to the significance of the airport to the locality. The motto featured is I Grow and I Rejoice—a translation of a phrase from the Epistulae of Seneca the Younger. Initially the district (and then borough) council worked with the Commission for New Towns on many aspects of development; but in 1978 many of the commission's assets, such as housing and parks, were surrendered to the council. The authority's boundaries were extended in 1983 to accommodate the Bewbush and Broadfield neighbourhoods. The borough remains part of the local two-tier arrangements, with services shared with West Sussex County Council. The authority is divided into 15 wards, each of which is represented by two or three local councillors, forming a total council of 37 members. Most wards are coterminous with the borough's neighbourhoods, but two neighbourhoods are divided: Broadfield into North and South wards, and Pound Hill into "Pound Hill North" and "Pound Hill South and Worth". The council is elected in thirds. The Conservative party gained control in May 2006 for the first time since the borough was created. Previously the authority had always been Labour controlled. Crawley Borough is coterminous with the parliamentary constituency of Crawley. Henry Smith won the seat at the 2010 general election and was re-elected at the 2015 general election. Laura Moffatt, a member of the Labour Party, was the MP for Crawley from 1997 to 2010; she was the Parliamentary Private Secretary to the Secretary of State for Health, Alan Johnson. In the 2005 general election, the winning margin was the slimmest of any UK constituency: Moffatt won by just 37 votes. Brook House and Tinsley House Immigration Removal Centres, operated by UK Visas and Immigration, are within the grounds of Gatwick Airport in Crawley. Data from the Home Office's national identity database at Doncaster, South Yorkshire, was backed up to servers in Crawley for disaster recovery and business continuity purposes. The Identity Documents Bill 2010, proposed in May 2010 and passed in September 2010, authorised the destruction of all data stored for the identity card scheme brought about by the Identity Cards Act 2006. At 51°6′33″N 0°11′14″W﻿ / ﻿51.10917°N 0.18722°W﻿ / 51.10917; -0.18722 (51.1092, −0.1872), Crawley is in the northeastern corner of West Sussex in South East England, 28 miles (45 km) south of London and 18 miles (29 km) north of Brighton and Hove. It is surrounded by smaller towns including Horley, Redhill, Reigate, Dorking, Horsham, Haywards Heath and East Grinstead. The borough of Crawley is bordered by the West Sussex local government areas of Mid Sussex and Horsham districts, and the Mole Valley and Tandridge districts and the Borough of Reigate and Banstead in the county of Surrey. There are 14 residential neighbourhoods, each with a variety of housing types: terraced, semi-detached and detached houses, low-rise flats and bungalows. There are no residential tower blocks, apart from the 8 storey Milton Mount Flats at the North end of Pound Hill. Many houses have their own gardens and are set back from roads. The hub of each neighbourhood is a shopping parade, community centre and church, and each has a school and recreational open spaces as well. Crawley Development Corporation's intention was for neighbourhood shops to cater only to basic needs, and for the town centre to be used for most shopping requirements. The number of shop units provided in the neighbourhood parades reflected this: despite the master plan making provision for at least 20 shops in each neighbourhood, the number actually built ranged from 19 in the outlying Langley Green neighbourhood to just seven in West Green, close to the town centre. Each of the 14 residential neighbourhoods is identified by a colour, which is shown on street name signs in a standard format throughout the town: below the street name, the neighbourhood name is shown in white text on a coloured background. Tinsley Green, a hamlet in Worth parish, is now within the Forge Wood neighbourhood. Its houses, farms and public house, the Greyhound (at which the British and World Marbles Championship has been held annually since 1932), lie on or around an east–west minor road running from the main Balcombe–Horley road to the Manor Royal estate. Approximately 64.5% of the population is aged below 45, compared to 55% of the population of West Sussex. White British account for 84.5% of the population and 15.5% of people are from other ethnic backgrounds. People of Indian and Pakistani origin account for 4.5% and 3% of the population respectively. Many inhabitants of Crawley work locally at Gatwick Airport as either air or ground crew. Many Chagossians expelled from the Chagos Archipelago in the Indian Ocean settled in Crawley in the 1960s and 1970s, and it was reported in 2016 that the town's Chagossian community numbered approximately 3,000 people. Crawley MP Henry Smith stated that Crawley "is home to perhaps the largest Chagossian population in the world". Crawley originally traded as a market town. The Development Corporation intended to develop it as a centre for manufacturing and light engineering, with an industrial zone. The rapid growth of Gatwick Airport provided opportunities for businesses in the aviation, transport, warehousing and distribution industries. The significance of the airport to local employment and enterprise was reflected by the formation of the Gatwick Diamond partnership. This venture, supported by local businesses, local government and SEEDA, South East England's Regional Development Agency, aims to maintain and improve the Crawley and Gatwick area's status as a region of national and international economic importance. Crawley was already a modest industrial centre by the end of the Second World War. Building was an important trade: 800 people were employed by building and joinery firms, and two—Longley's and Cook's—were large enough to have their own factories. In 1949, 1,529 people worked in manufacturing: the main industries were light and precision engineering and aircraft repair. Many of the jobs in these industries were highly skilled. Industrial development had to take place relatively soon after the new town was established because part of the Corporation's remit was to move people and jobs out of an overcrowded and war-damaged London. Industrial jobs were needed as well as houses and shops to create a balanced community where people could settle. The Development Corporation wanted the new town to support a large and mixed industrial base, with factories and other buildings based in a single zone rather than spread throughout the town. A 267-acre (108 ha) site in the northeastern part of the development area was chosen. Its advantages included flat land with no existing development; proximity to the London–Brighton railway line, the A23 and the planned M23; space for railway sidings (which were eventually built on a much smaller scale than envisaged); and an adjacent 44-acre (18 ha) site reserved for future expansion, on the other side of the railway line (again, not used for this purpose in the end). Princess Elizabeth (later Queen Elizabeth II) opened the first part of the industrial area on 25 January 1950; its main road was named Manor Royal, and this name eventually came to refer to the whole estate. While most of the jobs created in the new town's early years were in manufacturing, the tertiary sector developed strongly from the 1960s. The Manor Royal estate, with its space, proximity to Gatwick and good transport links, attracted airport-related services such as logistics, catering, distribution and warehousing; and the Corporation and private companies built offices throughout the town. Office floorspace in the town increased from 55,000 square feet (5,100 m2) in 1965 to a conservative estimate of 453,000 square feet (42,100 m2) in 1984. Major schemes during that period included premises for the Westminster Bank (later part of NatWest), British Caledonian, and The Office of the Paymaster-General—a government ministry within the remit of HM Treasury. The five-storey Overline House above the railway station, completed in 1968, is used by Crawley's NHS Primary Care Trust and various other companies. Companies headquartered in Crawley include Doosan Babcock Energy, WesternGeco, Virgin Atlantic Airways, Virgin Atlantic's associated travel agency Virgin Holidays, William Reed Business Media, Dualit and the Office of the Paymaster-General. Danish company Novo Nordisk, which manufactures much of the world's insulin supply, has its UK headquarters at the Broadfield Business Park, and BDO International has an office in Crawley. In addition the registered offices of TUI UK and Thomson Airways are located in Crawley. British Airways took over British Caledonian's former headquarters near the Manor Royal estate, renamed it "Astral Towers" and based its British Airways Holidays and AIRMILES divisions there. Other companies formerly headquartered in Crawley include Astraeus Airlines, British United Airways, CityFlyer Express, CP Ships, First Choice Airways, GB Airways, Laker Airways, Tradewinds Airways, and Air Europe. [check quotation syntax] Crawley has numerous hotels, including The George Hotel, dated to 1615. It is reputedly haunted. Even before the new town was planned, Crawley was a retail centre for the surrounding area: there were 177 shops in the town in 1948, 99 of which were on the High Street. Early new town residents relied on these shopping facilities until the Corporation implemented the master plan's designs for a new shopping area on the mostly undeveloped land east of the High Street and north of the railway line. The Broadwalk and its 23 shops were built in 1954, followed by the Queen's Square complex and surrounding streets in the mid-1950s. Queen's Square, a pedestrianised plaza surrounded by large shops and linked to the High Street by The Broadwalk, was officially opened in 1958 by Queen Elizabeth II. The town centre was completed by 1960, by which time Crawley was already recognised as an important regional, rather than merely local, shopping centre. In the 1960s and 1970s, large branches of Tesco, Sainsbury's and Marks & Spencer were opened (the Tesco superstore was the largest in Britain at the time). The shopping area was also expanded southeastwards from Queen's Square: although the original plans of 1975 were not implemented fully, several large shop units were built and a new pedestrianised link—The Martlets—was provided between Queen's Square and Haslett Avenue, the main road to Three Bridges. The remaining land between this area and the railway line was sold for private development by 1982; in 1992 a 450,000 square feet (41,800 m2) shopping centre named County Mall was opened there. Its stores includes major retailers such as The Entertainer, Boots, WHSmith and Superdry as well as over 80 smaller outlets. The town's main bus station was redesigned, roads including the main A2220 Haslett Avenue were rerouted, and some buildings at the south end of The Martlets were demolished to accommodate the mall. A regeneration strategy for the town centre, "Centre Vision 2000", was produced in 1993. Changes brought about by the scheme have included 50,000 square feet (4,600 m2) of additional retail space in Queen's Square and The Martlets, and a mixed-use development at the southern end of the High Street on land formerly occupied by Robinson Road (which was demolished) and Spencers Road (shortened and severed at one end). An ASDA superstore, opened in September 2003, forms the centrepiece. Robinson Road, previously named Church Road, had been at the heart of the old Crawley: a century before its demolition, its buildings included two chapels, a school, a hospital and a post office. Policing in Crawley is provided by Sussex Police; the British Transport Police are responsible for the rail network. The borough is the police headquarters for the North Downs division, and is itself divided into three areas for the purposes of neighbourhood policing: Crawley East, Crawley West, and Crawley Town Centre. A separate division covers Gatwick Airport. There is a police station in the town centre; it is open 24 hours a day, and the front desk is staffed for 16 hours each day except Christmas Day. Statutory emergency fire and rescue services are provided by the West Sussex Fire and Rescue Service which operates a fire station in the town centre. The South East Coast Ambulance Service is responsible for ambulance and paramedic services. Crawley Hospital in West Green is operated by West Sussex Primary Care Trust. Some services are provided by the Surrey and Sussex Healthcare NHS Trust, including a 24-hour Urgent Treatment Centre for semi-life-threatening injuries. The Surrey and Sussex was judged as "weak" by the Healthcare Commission in 2008, however in 2015 both the hospital and the Surrey and Sussex Trust were rated good by the Care Quality Commission. Thames Water is responsible for all waste water and sewerage provision. Residents in most parts of Crawley receive their drinking water from Southern Water; areas in the north of the town around Gatwick Airport are provided by Sutton & East Surrey Water; and South East Water supplies Maidenbower. UK Power Networks is the Distribution Network Operator responsible for electricity. Gas is supplied by Southern Gas Networks who own and manage the South East Local Distribution Zone. The provision of public services was made in co-operation with the local authorities as the town grew in the 1950s and 1960s. They oversaw the opening of a fire station in 1958, the telephone exchange, police station and town centre health clinic in 1961 and an ambulance station in 1963. Plans for a new hospital on land at The Hawth were abandoned, however, and the existing hospital in West Green was redeveloped instead. Gas was piped from Croydon, 20 miles (32 km) away, and a gasworks at Redhill, while the town's water supply came from the Weir Wood reservoir south of East Grinstead and another at Pease Pottage. In December 2008, a new three-storey library was opened in new buildings at Southgate Avenue, replacing the considerably undersized establishment formerly at County Buildings. The Civil Aviation Authority Regulation Safety Group is in the Aviation House in Gatwick Airport in Crawley. Regular train services run from Crawley, and also Ifield, to London Victoria and London Bridge stations, Gatwick Airport, East Croydon, Horsham, Bognor Regis, Chichester, Portsmouth and Southampton. Three Bridges has direct Thameslink trains to Bedford and Brighton. Gatwick is the world's second busiest single-runway international airport. Crawley Development Corporation made little provision for the arts in the plans for the new town, and a proposed arts venue in the town centre was never built. Neighbourhood community centres and the Tilgate Forest Recreational Centre were used for some cultural activities, but it was not until 1988 that the town had a dedicated theatre and arts venue, at the Hawth Theatre. (The name derives from a local corruption of the word "heath", which came to refer specifically to the expanse of wooded land, south of the town centre, in which the theatre was built.) Crawley's earliest cinema, the Imperial Picture House on Brighton Road, lasted from 1909 until the 1940s; the Embassy Cinema on the High Street (opened in 1938) replaced it. A large Cineworld cinema has since opened in the Crawley Leisure Park, which itself also includes ten-pin bowling, various restaurants and bars and a fitness centre. The Moka nightclub on Station Way opened in October 2012. 1902 Autocar in the 2018 London to Brighton Veteran Car Run, High Street, Crawley. The high street becomes an annual focus of motoring heritage in November as one of the official stops on the London to Brighton Veteran Car Run. All six of these have a sixth form, the newest opening at Oriel High in September 2008. There is also a Primary / Secondary School called The Gatwick School, which is a Free School that opened in 2014. It currently has 4 years, R, 1, 7 and 8. The schools at Ifield and Thomas Bennett are also bases for the Local Authority's adult education programmes. Pupils with special needs are educated at the two special schools in the town, each of which covers the full spectrum of needs: Manor Green Primary School and Manor Green College. Desmond Anderson, based in Tilgate converted to Academy status in February 2017 and is now part of the University of Brighton Academies Trust. The Discovery New School, based in Broadfield House, was opened in September 2011. It was one of the first free schools in the country, set up as a result of changes to the legislation on school funding by the Conservative-Liberal Democrat Coalition government. The school was a Montessori school, the first state funded Montessori school in the UK, quoted as having a Christian ethos in the Anglican tradition. The school closed to children for the last time on 3 April 2014, following a series of inspection failures and withdrawal of its funding. Further education is provided by Central Sussex College. Opened in 1958 as Crawley Technical College, it merged with other local colleges to form the new institute in August 2005. The college also provides higher education courses in partnership with the universities at Chichester and Sussex. In 2004, a proposal was made for an additional campus of the University of Sussex to be created in Crawley, but as of 2008 no conclusion has been reached. Crawley has three local newspapers, of which two have a long history in the area. The Crawley Observer began life in 1881 as Simmins Weekly Advertiser, became the Sussex & Surrey Courier and then the Crawley and District Observer, and took its current name in 1983. The newspaper is now owned by Johnston Press. The Crawley News was first published in 1979, and later took over the operations of the older Crawley Advertiser which closed in 1982. The newspaper was taken over by the Trinity Mirror group in 2015 as part of the purchase of Local World  but its last edition was published on 26 October 2016. In September 2008 Johnston Press launched a new weekly broadsheet newspaper called the Crawley Times based on the companies paper produced in Horsham, the West Sussex County Times. The town is served by the London regional versions of BBC and ITV television from the Crystal Palace or Reigate transmitters—although some terrestrial aerials in the town may pick up BBC South and ITV Meridian signals from the Midhurst transmitter. Radio Mercury began broadcasting on 20 October 1984 from Broadfield House in Broadfield. The station, now owned by Global Radio, broadcasts as Heart from Brighton, with the studios in Kelvin Way in Crawley closed in August 2010. On 1 February 2011, the local Gold transmitter on 1521 AM closed and listeners were advised to retune to 1548 AM (Gold London) or 1323 AM (Gold Sussex). Local BBC radio was provided by BBC Radio Sussex from 1983; this became part of BBC Southern Counties Radio following a merger with BBC Radio Surrey in 1994. From March 2009, BBC Southern Counties Radio became BBC Sussex on 104.5FM & BBC Surrey on 104FM. Due to the positioning of their transmitters, when broadcasting separately both stations cover Crawley stories. Patrick Allen (music educator), an award-winning author and teacher, lives and works in the town. Tony Barrell, a journalist for The Sunday Times and other publications, was born in the town. Jerzy Braun, a Polish rower who competed in the 1932 Summer Olympics and in the 1936 Summer Olympics, died in Crawley. Simon Calder, a journalist for The Independent, was born in the town. Matt Charman, playwright, was born in Crawley. Rebecca Cooke, freestyle swimmer and Commonwealth Games gold medallist, was born in Crawley. Sir Charles Court, the 21st Premier of Western Australia, was born in Crawley, but migrated to Australia with his family before his first birthday. John George Haigh, the "Acid Bath Murderer", carried out some of his murders at a workshop in the West Green area. Simon Jeffes, classically trained guitarist, composer, arranger and founder of the Penguin Cafe Orchestra, was born here. Philip Lawson, first baritone with The King's Singers was born and raised in Crawley. Mark Lemon, first editor of Punch, lived on the High Street from 1858 until his death in 1870. A blue plaque outside the George Hotel commemorates his time in the town. Alan Minter, who won bronze at the 1972 Munich Olympic Games in the light middleweight boxing category and in 1980 became the WBC world middleweight champion, was born in the town in 1951. Kevin Muscat, a footballer who has played for Australia since 1994 and had a nine-year spell in Britain, playing for four different clubs, was born in the town. Craig Pickering, an Olympic sprinter and bobsleigher, was born in the town. Gareth Southgate, former England football international and current England manager (2016), attended Pound Hill Junior School followed by Hazelwick School. Theresa Tomlinson (born 1946), writer for children and young adults, was born in Crawley. Daley Thompson used facilities in Crawley to train for the Olympics in 1980 and 1984. Peter Vaughan, the actor, who starred in the TV show Porridge, used to live in the town. The Cure were formed in Crawley in 1976 by Robert Smith, Michael Dempsey and Lol Tolhurst, all of whom attended St Wilfrid's RC School. The Feeling's drummer Paul Stewart, guitarist Kevin Jeremiah and keyboard player Ciaran Jeremiah were also at St Wilfrid's. Dan Walker, the British sports presenter, was born and raised in Crawley. Romesh Ranganathan, comedian, who was a maths teacher at Hazelwick School. ^ a b Gwynne 1990, p. 9. ^ a b c d "Select Committee on Transport, Local Government and the Regions: Appendices to the Minutes of Evidence. Supplementary memorandum by Crawley Borough Council (NT 15(a))". United Kingdom Parliament Publications and Records website. The Information Policy Division, Office of Public Sector Information. 2002. Retrieved 2 April 2008. ^ a b "West and North West of Crawley". Horsham District Council & Crawley Borough Council. 2006–2009. Archived from the original on 6 December 2007. Retrieved 29 October 2009. ^ a b c d e "A Brief History of Crawley". Crawley Borough Council website. Crawley Borough Council. 2007. Retrieved 31 July 2007. ^ Cole 2004a, p. 10. ^ "About The High Weald: The Iron Story". High Weald AONB Unit website. High Weald AONB Unit. 2008. Archived from the original on 7 August 2007. Retrieved 2 April 2008. ^ "Life in Late Iron Age Sussex: Trade & Industry". Romans in Sussex website. The Sussex Archaeological Society. 2008. Archived from the original on 6 September 2008. Retrieved 2 April 2008. ^ "Life in Roman Sussex: Crafts & Industry: Weald Iron Industry". Romans in Sussex website. The Sussex Archaeological Society. 2008. Archived from the original on 11 September 2007. Retrieved 2 April 2008. ^ Cole 2004a, p. 14. ^ "Crawley Borough Council: St Nicholas Church". Crawley Borough Council website. Crawley Borough Council. 2008. Retrieved 28 March 2007. ^ "Crawley Borough Council: St Margaret's Church". Crawley Borough Council website. Crawley Borough Council. 2008. Retrieved 28 March 2007. ^ a b c d e f Cole 2004b, Unpaginated. ^ Cole 2004a, p. 56. ^ s.n. 1839, p. 681. ^ "Crawley High Street". Crawley Borough Council website. Crawley Borough Council. 2007. Retrieved 3 August 2007. ^ a b "Crawley Town Walk" (PDF). Crawley Borough Council website. Crawley Borough Council. 2007. Retrieved 3 August 2007. ^ "Detailed record: The George Hotel, High Street (west side), Crawley, Crawley, West Sussex". Images of England. English Heritage. 2007. Retrieved 29 October 2009. ^ "Diocese of Chichester: St John the Baptist, Crawley". A Church Near You website. Oxford Diocesan Publications Ltd. 2007. Archived from the original on 23 December 2012. Retrieved 13 September 2007. ^ "St John the Baptist Parish Church, Crawley, West Sussex – 22nd April 2004". The Roughwood website. Mark Collins. 2007. Retrieved 12 March 2008. ^ "Dove Details". Dove's Guide for Church Bell Ringers website. Sid Baldwin, Ron Johnston and Tim Jackson on behalf of the Central Council of Church Bell Ringers. 24 February 2008. Retrieved 12 March 2008. ^ David Palmer (2003). "A brief history of Maidenbower" (PDF). Maidenbower Village website. Stuart Cummings. Archived from the original (PDF) on 27 September 2007. Retrieved 6 September 2007. ^ a b c Gray 1983, p. 9. ^ Gwynne 1990, p. 119. ^ Cole 2004a, p. 62. ^ a b c "Crawley District: Total Population". A Vision of Britain Through Time website. National Statistics. 2001. Retrieved 2 August 2007. ^ Gwynne 1990, p. 146. ^ Gray 1983, pp. 11–12. ^ a b "New Town History". Crawley Borough Council website. Crawley Borough Council. 2005. Retrieved 31 July 2007. ^ a b c Bennett, Thomas P. (January 1961). "Crawley after Thirteen Years". Town & County Planning. XXIX (I): 18–20. ^ "First proposed structure plan, 1947". Nostalgia: A Crawley Observer Supplement (2): 3. 1995. ^ The Crawley Development Corporation's Master Plan for Crawley New Town (Map). Crawley Development Corporation. 1949. ^ Janet Treagus (15 May 2007). "Council wins fight against new neighbourhood". Crawley Borough Council website. Crawley Borough Council. Archived from the original on 28 September 2007. Retrieved 21 August 2007. ^ Gwynne 1990, p. 165. ^ a b "Coat of Arms". Crawley Borough Council website. Crawley Borough Council. 2007. Archived from the original on 28 September 2007. Retrieved 1 September 2007. ^ "Past Mayors". Crawley Borough Council website. Crawley Borough Council. 2007. Archived from the original on 11 November 2007. Retrieved 9 April 2008. ^ Crawley Borough Council 1997, Unpaginated. ^ "Final recommendations on the future electoral arrangements for Crawley in West Sussex" (PDF). The Boundary Committee for England. 2002. Retrieved 31 July 2007. ^ "Tories Take Control". Crawley Observer. Johnston Press Digital Publishing. 5 May 2006. Archived from the original on 27 September 2007. Retrieved 31 July 2007. ^ "Laura Moffatt—Labour Member of Parliament for Crawley". Official website of Laura Moffatt MP. The Labour Party. 2008. Archived from the original on 19 April 2008. Retrieved 1 April 2008. ^ "Laura Moffatt". The Guardian. London Politics website: Guardian News and Media Ltd. 2008. Archived from the original on 18 February 2007. Retrieved 1 April 2008. ^ "10 things about the election". BBC News Website: Election 2005. 6 May 2005. Retrieved 31 July 2007. ^ "Brook House immigration removal centre". UK Border Agency. 2007. Archived from the original on 23 December 2012. Retrieved 16 February 2010. ^ "Tinsley House immigration removal centre". UK Border Agency. 2007. Archived from the original on 30 August 2008. Retrieved 16 February 2010. ^ Wheeler, Brian (10 November 2010). "How ID card database will be destroyed". BBC. Retrieved 10 November 2010. ^ Office for National Statistics (2001). "Census 2001: Key Statistics for urban areas in the South East; Map 3" (PDF). statistics.gov.uk. Archived from the original (PDF) on 24 March 2009. Retrieved 17 April 2008. ^ "Crawley Manor Royal: Final Report" (PDF). Crawley Borough Council/BDP/Regeneris Final Report on Manor Royal Industrial Estate. Crawley Borough Council, Building Design Partnership (BDP) and Regeneris Consulting Ltd. May 2008. p. 11. Retrieved 3 December 2008. ^ "County of West Sussex: Electoral Divisions" (PDF). West Sussex County Council website. West Sussex County Council. 2006. Retrieved 17 April 2008. ^ "Map of Surrey's district and borough councils". Surrey County Council website. Surrey County Council. 8 April 2008. Archived from the original on 27 April 2006. Retrieved 17 April 2008. ^ a b Gwynne 1990, pp. 3–4. ^ Lowerson 1980, p. 3. ^ "Ifield Mill Pond". Crawley Borough Council website. Crawley Borough Council. 2007. Archived from the original on 28 September 2007. Retrieved 10 August 2007. ^ Thomson, Keith Stewart (March–April 2006). "American Dinosaurs: Who and What Was First". American Scientist. 94 (2): 209. doi:10.1511/2006.58.209. ^ "The Discovery of Hylaeosaurus, 1833". The Linda Hall Library, Kansas City website. Linda Hall Library. 2003. Archived from the original on 8 May 2008. Retrieved 1 April 2008. ^ "July 2006". Archived from the original on 29 June 2011. Retrieved 25 February 2011. ^ "July 2006". Retrieved 25 February 2011. ^ "August 2003". Retrieved 25 February 2011. ^ "1971-00 Normals". Retrieved 25 February 2011. ^ Rogers, Simon (21 December 2010). "December 2010". The Guardian. London. Retrieved 25 February 2011. ^ "December 2010". Retrieved 25 February 2011. ^ "Annual average minimum". Retrieved 25 February 2011. ^ "Annual average frost". Retrieved 25 February 2011. ^ "Wet days 1971-00". Retrieved 25 February 2011. ^ "Climate Normals 1961–1990". NOAA. Retrieved 25 February 2011. ^ "Crawley Borough Council: Crawley's Neighbourhoods". Crawley Borough Council website. Crawley Borough Council. 2008. Retrieved 2 April 2008. ^ "Crawley Baseline Character Assessment" (PDF). EDAW/AECOM. May 2009. p. 24. Retrieved 9 March 2010. ^ "Neighbourhood Statistics". National Statistics website. Office for National Statistics. 2007. Retrieved 7 August 2007. ^ "Lowfield Heath St Michael". The Church of England website. The Archbishops' Council. 2007. Archived from the original on 24 February 2008. Retrieved 31 March 2008. ^ Gwynne 1990, p. 170. ^ Sheet 187: Dorking, Reigate and Crawley (Map). 1:50,000. Landranger Series of Great Britain. Ordnance Survey. 1980. ^ Aitch, Iain (4 April 2009). "Event preview: British And World Marbles Championship, Tinsley Green". The Guardian. UK: Guardian News and Media Ltd. Retrieved 13 January 2010. ^ "Planning Application No. CR/1998/0039/OUT". Crawley Borough Council planning application. Crawley Borough Council. 21 January 1998. Archived from the original on 8 June 2011. Retrieved 13 January 2010. ^ Bird, Philip; Moore, Joe; Mulcock, John (6 January 1969). "How horror came from the sky at 2.35 am". Evening Argus (incorporating Sussex Daily News) (Special Extra Edition). Brighton. p. 12. ^ "Surrey Constabulary – Part 3: Policing Change 1951–1975. Airliner crashes on approach to Gatwick Airport 1969". The Open University International Centre for the History of Crime, Policing and Justice. Open University and Robert Bartlett. 2013. Archived from the original on 25 February 2013. Retrieved 26 February 2013. ^ Review of non-Metropolitan counties: County of West Sussex and its Boundary with Surrey (PDF). LGBCE Report No. 589 (Report). Local Government Boundary Commission for England. 26 April 1990. §§. 23, 66. Archived from the original (PDF) on 15 March 2013. Retrieved 16 March 2013. 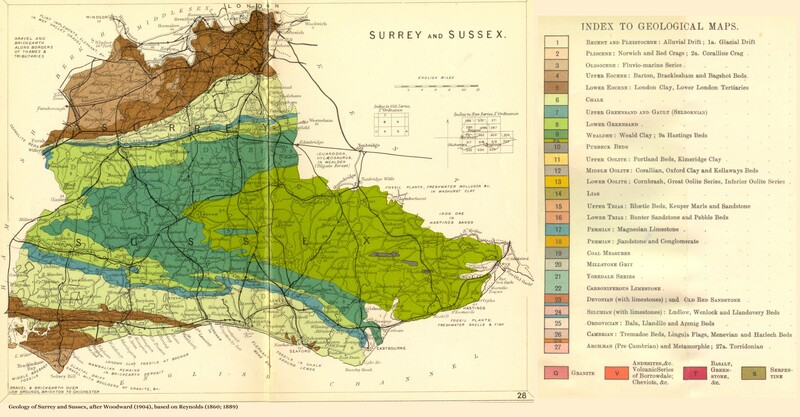 ^ Review of non-Metropolitan counties: County of West Sussex and its Boundary with Surrey (PDF). LGBCE Report No. 589 (Report). Local Government Boundary Commission for England. 26 April 1990. Map 10. Archived from the original (PDF) on 15 March 2013. Retrieved 19 March 2013. ^ Kelly, G.M. (7 January 1969). Civil Aircraft Accident Report No. EW/C/303: Report on the Accident to Boeing 727-112C YA-FAR 1.5 miles east of London (Gatwick) Airport on 5th January 1969 (Report). Her Majesty's Stationery Office. Archived from the original on 25 February 2013. Retrieved 26 February 2013. ^ "Key Figures for 2001 Census: Census Area Statistics". Neighbourhood Statistics website. National Statistics. 2001. Retrieved 2 August 2007. ^ "Key Figures for 2011 Census: Key Statistics". Neighbourhood Statistics website. National Statistics. 2011. Retrieved 22 March 2017. ^ "Horsham District: Total Population". A Vision of Britain Through Time website. National Statistics. 2001. Retrieved 2 August 2007. ^ "Ethnic Group (UV09) dataset". Neighbourhood Statistics website. National Statistics. 2001. Retrieved 2 August 2007. ^ "Ethnic Group (KS06) dataset". Neighbourhood Statistics website. National Statistics. 2001. Retrieved 2 August 2007. ^ "Chagos Islanders will not be allowed home, UK government says". BBC News. 16 November 2016. Archived from the original on 16 November 2016. Retrieved 16 November 2016. ^ "Helping the 'exiled and ignored' Chagossians". Crawley and Horley Observer. 17 January 2018. Retrieved 8 September 2018. ^ "Population Density (UV02)—Crawley Local Authority". Neighbourhood Statistics website. National Statistics. 2001. Retrieved 2 August 2007. ^ "Approximated Social Grade (UV50)". Neighbourhood Statistics website. National Statistics. 2001. Retrieved 2 August 2007. ^ "Approximated Social Grade (UV50)—Broadfield North Ward". Neighbourhood Statistics website. National Statistics. 2001. Retrieved 2 August 2007. ^ "Approximated Social Grade (UV50)—Maidenbower Ward". Neighbourhood Statistics website. National Statistics. 2001. Retrieved 2 August 2007. ^ "Qualifications (UV24)—Crawley Local Authority". Neighbourhood Statistics website. National Statistics. 2001. Retrieved 2 August 2007. ^ "The Gatwick Diamond". Gatwick Diamond website. West Sussex Economic Partnership. 2007. Retrieved 2 August 2007. ^ "Unemployment" (PDF). Crawley Economic Profile 2004. Crawley Borough Council. 2004. Retrieved 2 August 2007. ^ "Debates for 9 Feb 1989". House of Commons Hansard. HMSO. 1989. Retrieved 6 January 2007. ^ a b c Gray 1983, p. 16. ^ a b c Bennett 1949, p. 31. ^ a b Gray 1983, p. 33. ^ Gray 1983, p. 34. ^ "Thales opens new Crawley site in lifeline for town business". Crawley News. Reigate, Surrey: East Surrey and Sussex News and Media. 20 October 2008. ISSN 0961-480X. Archived from the original on 5 May 2013. Retrieved 30 October 2009. ^ "NHS: West Sussex PCT". NHS Choices: West Sussex PCT (list of sites). Department of Health. 2007. Archived from the original on 26 September 2007. Retrieved 5 September 2007. ^ "Locallife Crawley". Locallife Crawley: Business directory. Locallife Ltd. 2007. Retrieved 5 September 2007. ^ "Contacts Europe". Doosan Babcock. 2009. Archived from the original on 12 March 2010. Retrieved 29 October 2009. ^ "Regions, WesternGeco". Schlumberger Ltd. 2009. Archived from the original on 1 June 2009. Retrieved 29 October 2009. ^ "Our Offices Around the World". Virgin Atlantic Airways Ltd. 2009. Retrieved 29 October 2009. ^ Nicholls, David (5 September 2014). "Video: Toast of the Nation: how Dualit became makers of the ultimate design classic". The Daily Telegraph. Retrieved 2 December 2018. ^ "Company celebrates 90 years of providing insulin to diabetics". Crawley Observer. Johnston Publishing Ltd. 5 March 2013. Archived from the original on 6 March 2013. Retrieved 6 March 2013. ^ Sukhraj, Penny. "BDO Bromley moves to Gatwick." Accountancy Age. 29 January 2007. Retrieved on 12 February 2011. ^ "Website Terms and Conditions." TUI UK. Retrieved on 2 January 2011. "TUI UK Limited ("TUI UK") trades under a number of brands including Thomson, and has its Registered Office at TUI Travel House, Crawley Business Quarter, Fleming Way, Crawley, West Sussex, RH10 9QL." ^ "British Airways Holidays: Booking terms and conditions". British Airways Holidays Ltd. 2007. Retrieved 5 September 2007. ^ "About Airmiles". AIRMILES Travel Promotions Ltd, trading as AIRMILES. 2008. Archived from the original on 14 October 2007. Retrieved 21 March 2008. ^ "Contacts Archived 23 August 2009 at the Wayback Machine." Astraeus Airlines. Retrieved on 22 May 2010. ^ "World Airline Directory." Flight International. 24–30 March 1999. 64. ^ "Contact Us." CP Ships. 4 November 2005. Retrieved on 12 February 2011. "CP Ships Limited 2 City Place Beehive Ring Road Gatwick, West Sussex RH6 0PA, United Kingdom"
^ Dennis, Juliet. "Management structure of Thomson and First Choice shops merged." Travel Weekly. 6 January 2009. Retrieved on 4 January 2011. ^ "The Beehive." GB Airways. Retrieved on 19 May 2009. ^ "World Airline Directory." Flight International. 16 May 1981. 1444. ^ World Airline Directory. Flight International. 20 March 1975. "505. "Head Office: Gatwick Airport, Horley, Surrey." ^ "World Airline Directory." Flight International. 14–20 March 1990. 55. "Head Office: The Galleria, Station Road, Crawley, West Sussex RH10 1HY, England"
^ "Reputedly haunted hotels and inns". English Inns. Retrieved 14 August 2010. ^ Gray 1983, p. 39. ^ "Propertymall.com: Crawley, County Mall Shopping Centre". www.propertymall.com. MaxiMalls.com Ltd. 2007. Archived from the original on 28 September 2007. Retrieved 5 September 2007. ^ Christine Ease (25 February 2005). "The magnetic North". www.propertyweek.com. Property Week. Retrieved 21 August 2007. ^ "Shopping". www.countymall.co.uk. Standard Life Property. 2007. Archived from the original on 8 October 2007. Retrieved 21 August 2007. ^ "Town Centre Strategy—Consultation Document" (PDF). Crawley Borough Council website. Crawley Borough Council. 27 April 2005. Retrieved 31 March 2008. ^ "Town Centre North, Crawley: Retail Assessment" (PDF). Crawley Borough Council website. Grosvenor Investments Ltd. May 2006. Retrieved 9 September 2007. ^ Bastable 2004, p. 9. ^ a b "Policing Your Neighbourhood: Local Policing". Sussex Police website. Sussex Police. 2008. Archived from the original on 10 December 2007. Retrieved 22 February 2008. ^ "Sussex Police Online – District Crawley". Sussex Police website. Sussex Police. 2008. Archived from the original on 10 November 2016. Retrieved 22 February 2008. ^ "Policing Your Neighbourhood—Local Police Stations". Sussex Police website. Sussex Police. 2008. Archived from the original on 28 February 2008. Retrieved 22 February 2008. ^ "West Sussex Fire & Rescue Service: Contacts". West Sussex County Council. 2008. Archived from the original on 5 February 2008. Retrieved 22 February 2008. ^ "South East Coast Ambulance Service—About Us". Secamb website. South East Coast Ambulance Service. 2008. Retrieved 22 February 2008. ^ "Crawley Hospital General Information". NHS website. National Health Service. 2008. Retrieved 22 February 2008. ^ "Mixed marks for South East trusts". BBC News website. 18 October 2007. Retrieved 22 February 2008. ^ "Thames Water Service Area Map". Thames Water website. Thames Water. 2008. Archived from the original (SWF) on 29 February 2008. Retrieved 22 February 2008. ^ "National Grid: Distribution Network Operator (DNO) Companies". National Grid website. National Grid. 2008. Retrieved 22 February 2008. ^ "National Grid: About the Gas Industry". National Grid website. National Grid. 2008. Archived from the original on 13 February 2008. Retrieved 22 February 2008. ^ "New Crawley Library to open its doors next week". WSCC Press Release. West Sussex County Council. Archived from the original on 2 June 2010. Retrieved 10 January 2009. ^ "Bus Services to CAA Safety Regulation Group, Aviation House Archived 1 September 2012 at the Wayback Machine." Civil Aviation Authority. Retrieved on 9 September 2010. ^ "CBRD in Depth: Road Numbers—How it happened". CBRD website. Chris Marshall. 2001. Archived from the original on 24 July 2011. Retrieved 31 March 2008. ^ "Crawley Baseline Character Assessment" (PDF). EDAW/AECOM. May 2009. p. 11. Retrieved 29 October 2009. ^ Mitchell & Smith 1986a, p. 4. ^ Mitchell, Vic; Keith Smith (1986). Southern Main Lines: Crawley to Littlehampton. Midhurst: Middleton Press. p. 4. ISBN 0-906520-34-7. ^ Body 1984, p. 75. ^ Mitchell & Smith 1986b, p. 15. ^ "West Coastway and Arun Valley: London, East Croydon, Gatwick Airport, Arun Valley & Brighton to Hove, Worthing, Littlehampton, Bognor Regis, Chichester, Portsmouth & Southampton" (PDF). Southern timetable booklet 3 (at Southern website). New Southern Railway Ltd. 2007. Archived from the original (PDF) on 24 June 2008. Retrieved 7 April 2008. ^ "Brighton Main Line: London, East Croydon, Tonbridge and Redhill to Gatwick Airport, Three Bridges, Crawley and Horsham" (PDF). Southern timetable booklet 2 (at Southern website). New Southern Railway Ltd. 2007. Archived from the original (PDF) on 24 June 2008. Retrieved 7 April 2008. ^ "Acquisition of Crawley Depot". Go Ahead Group website. Go Ahead Group. 2001. Archived from the original on 16 January 2009. Retrieved 31 July 2007. ^ "Timetables & Route Index". Metrobus Website. Go Ahead Group. 2007. Archived from the original on 9 July 2007. Retrieved 31 July 2007. ^ "Fastway: Phase One Service Launched". Fastway, Issue 6. West Sussex County Council. 2003. Archived from the original (PDF) on 27 September 2007. Retrieved 31 July 2007. ^ "Fastway information and timetable from 27 August 2005". Fastway leaflet (2005) at West Sussex County Council Roads & Transport website. West Sussex County Council. 2005. Archived from the original on 27 September 2007. Retrieved 5 September 2007. ^ V, Manju (13 May 2017). "Now, Mumbai world's busiest airport with only one runway". The Times of India. Retrieved 13 May 2017. ^ Gwynne 1990, p. 147. ^ Gwynne 1990, p. 160. ^ "Our History". BAA Gatwick Airport website. BAA plc. 2006. Archived from the original on 28 September 2007. Retrieved 1 August 2007. ^ "The future development of air transport in the UK". Department for Transport website. Department for Transport. 2003. Archived from the original on 5 May 2007. Retrieved 1 August 2007. ^ "Crawley Town Football Club – past and present". Crawley Town Football Club website. 2007. Archived from the original on 17 September 2007. Retrieved 2 August 2007. ^ "Welcome To Crawley RFC". Crawley Rugby Football Club website. 2008. Archived from the original on 13 March 2008. Retrieved 17 March 2008. ^ "Tilgate Forest Golf Centre". Crawley Borough Council website. 2006. Retrieved 2 August 2007. ^ "Crawley Hockey Club home page". Crawleyhockey.org.uk. Retrieved 4 September 2013. ^ a b "End of an era". Crawley Borough Council website. 2005. Archived from the original on 28 September 2007. Retrieved 3 August 2007. ^ "Sports People; Miss Budd Withdraws". The New York Times. 19 April 1984. Retrieved 30 October 2009. ^ "K2 Crawley". Crawley Borough Council website. 2007. Retrieved 2 August 2007. ^ "Lord Coe opens K2 sports complex". BBC News website. 24 January 2006. Retrieved 3 August 2007. ^ "K2 Crawley makes Olympic training camp guide". Crawley Borough Council website. Crawley Borough Council. 3 March 2008. Archived from the original on 15 November 2011. Retrieved 31 March 2008. ^ "History of the Hawth". The Hawth, Crawley website. Crawley Borough Council. 2007. Archived from the original on 30 July 2007. Retrieved 2 August 2007. ^ "Leisure and Culture: Young People". Crawley Borough Council website. 2006. Retrieved 4 August 2007. ^ "What to expect from Moka". Crawley Observer. 22 October 2012. Retrieved 26 August 2018. ^ "Parks and Gardens: Goffs Park". Crawley Borough Council website. Crawley Borough Council. 2007. Retrieved 9 September 2007. ^ "Tilgate Park and Nature Centre". Crawley Borough Council website. Crawley Borough Council. 2007. Retrieved 9 September 2007. ^ "Crawley Museum Centre". Culture24 website. 2007. Retrieved 2 August 2007. ^ "Listed Buildings in Crawley" (PDF). Crawley Borough Council website: Listed Buildings in Crawley. Crawley Borough Council. 2008. Retrieved 6 November 2008. ^ Crawley Borough Council (November 2010). Crawley Local Building List (PDF) (Report). Crawley Borough Council. Archived from the original on 9 February 2013. Retrieved 10 February 2013. ^ "Crowds Welcome London to Brighton Veteran Cars at Crawley". Crawley Observer. 5 November 2018. Retrieved 10 November 2018. ^ "Stage two consultation on age of transfer for Crawley schools". Press Releases. West Sussex County Council. 13 January 2002. Archived from the original on 27 September 2007. Retrieved 31 July 2007. ^ "Educational Establishments by Major Town: Crawley". West Sussex Grid for Learning. West Sussex County Council. 2007. Archived from the original on 27 September 2007. Retrieved 31 July 2007. ^ "Adult Educational Centres". West Sussex Grid for Learning. West Sussex County Council. 2007. Archived from the original on 1 July 2007. Retrieved 31 July 2007. ^ "Primary school converts to academy status". Crawley Observer. 1 February 2017. Retrieved 26 August 2018. ^ "Final press statement" (PDF). Governors, Discovery New School. Archived from the original (PDF) on 7 April 2014. Retrieved 4 April 2014. ^ "Central Sussex College – A New Era". Central Sussex College website. Central Sussex College. 2005. Archived from the original on 27 September 2006. Retrieved 31 July 2007. ^ "Innovative new campus set for Crawley, not Horsham". Bulletin. University of Sussex. 16 June 2004. Archived from the original on 7 September 2007. Retrieved 31 July 2007. ^ West Sussex Record Office (2003). "Newspapers in West Sussex" (PDF). Local History Mini-guide to Sources No. 8. West Sussex County Council. Archived from the original (PDF) on 19 January 2012. Retrieved 31 August 2007. ^ "Crawley Observer". MediaUK website. MediaUK. 2007. Retrieved 31 August 2007. ^ "Trinity Mirror confirms £220m Local World deal". ^ "Trinity Mirror to close Crawley News next week - Journalism News from HoldtheFrontPage". HoldTheFrontPage. Retrieved 26 October 2016. ^ "Crawley Times". Johnston Press. 2008. Retrieved 4 January 2009. ^ GCap Media plc (2008). "Information about Mercury FM". Mercury FM website. Retrieved 31 March 2008. ^ "Aircheck UK – Sussex". Aircheck website. 2007. Retrieved 31 August 2007. ^ "Gold (Reigate and Crawley)". MediaUK website. MediaUK. 2007. Retrieved 31 August 2007. ^ "BBC Southern Counties Radio". MediaUK website. MediaUK. 2007. Retrieved 31 August 2007. ^ Stefan Berger, Norman LaPorte (2010). Friendly Enemies: Britain and the GDR, 1949-1990. Berghan Books. p. 115. ISBN 978-1-84545-697-9. ^ Ian Miller (24 August 2006). "Crawley Town Twinning". Crawley Observer. ^ "Cooke quits swimming for studies". BBC News website. 16 April 2008. Retrieved 25 March 2009. ^ "Honorary Degree Citation: The Hon Sir Charles Walter Michael Court" (PDF). Murdoch University website. 22 March 1995. Retrieved 31 March 2008. ^ "Crime Library: John George Haigh". Turner Entertainment Digital Network, Inc. 2007. Archived from the original on 29 August 2007. Retrieved 30 August 2007. ^ "Boxing: Ross Minter carries on a boxing tradition". The Argus. Newsquest Media Group. 21 March 2001. Archived from the original on 29 September 2007. Retrieved 30 August 2007. ^ "Kevin Muscat". CNN/Sports Illustrated (an AOL Time Warner company). 2001. Retrieved 30 August 2007. ^ Shemilt, Stephan (10 June 2018). "World Cup: The real Gareth Southgate, by those who know him best". BBC News. Archived from the original on 11 June 2018. Retrieved 11 June 2018. ^ "Southgate plans a party". The Argus. Newsquest Media Group. 12 November 1999. Archived from the original on 29 September 2007. Retrieved 30 August 2007. ^ "House of Commons Hansard Debates for 21 Jul 2005 (pt 27)". United Kingdom Parliament website: Hansard (House of Commons Daily Debates). The Information Policy Division, Office of Public Sector Information. 21 July 2005. Retrieved 17 March 2008. ^ "BBC h2g2: The Cure". BBC. 12 August 2005. Retrieved 30 August 2007. ^ "Feeling Their Way to Number One". Crawley News. Reigate, Surrey: East Surrey and Sussex News and Media. 20 February 2008. p. 10. ISSN 0961-480X. Archived from the original on 30 October 2015. Retrieved 20 February 2008. ^ "Maths teacher swaps classroom for comedy and wins top award". Crawley Observer. Johnston Publishing Ltd. 4 March 2013. Retrieved 22 February 2018. Bastable, Roger (2004). Crawley. Then & Now. Stroud: Tempus Publishing. ISBN 978-0-7524-3063-8. OCLC 53242919. Bennett, Thomas P. (1949). New Towns Act 1946: Reports of the Aycliffe, Crawley, Harlow, Hatfield, Hemel Hempstead, Peterlee, Stevenage and Welwyn Garden City Development Corporations for period ending 31 March 1949. Crawley Development Corporation: Second Annual Report (Report). Her Majesty's Stationery Office. OCLC 52186166. Body, Geoffrey (1984). Railways of the Southern Region. PSL Field Guide. Cambridge: Patrick Stephens. ISBN 978-0-85059-664-9. OCLC 11496293. Cole, Belinda (2004a). Crawley: A History and Celebration of the Town. Salisbury: Frith Book Company. ISBN 978-1-904938-19-4. OCLC 59137480. Cole, Belinda (2004b). Crawley: An Illustrated Miscellany. Salisbury: Frith Book Company. ISBN 978-1-904938-74-3. OCLC 59137646. Crawley Borough Council (1997). Crawley: Official Guide. Wallington: Local Authority Publishing Co Ltd.
Gray, Fred, ed. (1983). Crawley: Old Town, New Town. Occasional Papers (University of Sussex, Centre for Continuing Education), no. 18. Falmer: University of Sussex. ISBN 978-0-904242-21-8. OCLC 16599642. Green, Jeffrey; Allen, Peter (1993). Crawley New Town in old photographs. Stroud: Alan Sutton Publishing. ISBN 978-0-7509-0472-8. OCLC 30026985. Gwynne, Peter (1990). A History of Crawley. Chichester: Phillimore & Company. ISBN 978-0-85033-718-1. OCLC 59815249. Kraemer-Johnson, Glyn; Bishop, John (2005). Southdown Days. Hersham: Ian Allan Publishing. ISBN 978-0-7110-3077-0. OCLC 60837945. Lowerson, John, ed. (1980). Crawley: Victorian New Town. Occasional Papers (University of Sussex, Centre for Continuing Education), no. 12. Falmer: University of Sussex. ISBN 978-0-904242-14-0. OCLC 16563480. Mitchell, Vic; Smith, Keith (1986a). Three Bridges to Brighton. Southern Main Lines. Midhurst: Middleton Press. ISBN 978-0-906520-35-2. OCLC 60024136. Mitchell, Vic; Smith, Keith (1986b). Crawley to Littlehampton. Southern Main Lines. Midhurst: Middleton Press. ISBN 978-0-906520-34-5. OCLC 60024134.
s.n. (1839). Pigot's Directory of Sussex. London and Manchester: Pigot & Co. WSC13002. Wikimedia Commons has media related to Crawley. Wikivoyage has a travel guide for Crawley.